Glow in the dark Moon and stars - spacekids - space toys, dressing up costumes, kids spacesuits, astronaut food, cool space stuff! 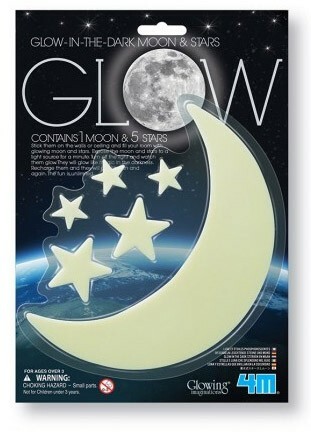 Contains 1 glow moon and 5 assorted sized glow stars. Stick them to surfaces, walls or ceilings using the sticky tape included and watch them glow brightly.